TNPSC Secretariat Assistant Old Question Papers Download & Syllabus in Tamil – Tamil Nadu Public Service Commission (TNPSC) has recently published a recruitment notification to fill up Assistant in the Departments of Secretariat (Other than Law and Finance). Candidates who are passed Degree or its equivalent they can utilize this opportunity applying before the last date through the official site of TNPSC. Applicants also check other details related to TNPSC Assistant Notification 2017 like how to apply, selection process, educational eligibility, salary, previous question papers of TN Assistant exam, solved question papers, last 5 years question papers and more info is given below. 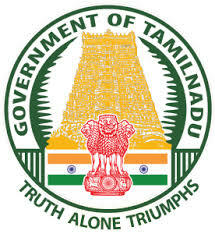 The Selection Process of Assistant is written exam mode ( General Studies, Aptitude and Mental Ability, General Tamil/ English), so candidates have to check previous question papers of TNPSC Assistant, solved question papers, last 5 years question papers, study material, books to get a high score in the written exam. Below you can download TNPSC Assistant Question Papers.